Out by sixteen or dead on the scene, but together forever. “Too much blood. And I can see your gaunch!” says Brigitte, annoyed. Ginger, her body impaled on a white picket fence, sticky red blood sprayed across her middle, gives us the finger. “Just do it,” she says. Brigitte brings a 35mm camera to her eye and snaps the photo. An entire world in microcosm. When Ginger Snaps, the cult horror-comedy directed by John Fawcett and written by Karen Walton, was released in 2000, it was an outlier among outliers. 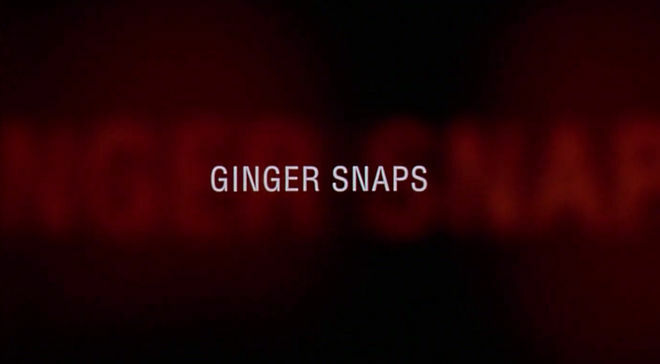 In a genre oozing with regressive and often outright sexist portrayals of women, Ginger Snaps was a monstrously funny film about two teenage girls whiling away the beige of suburban Bailey Downs. Ginger and Brigitte did this in their own special way: through elaborate tableaux of suicide and death, photographed and presented as a slideshow for a school assignment. These tableaux form the opening title sequence to Ginger Snaps, introducing the world to the Fitzgerald sisters through a masterpiece of title design. 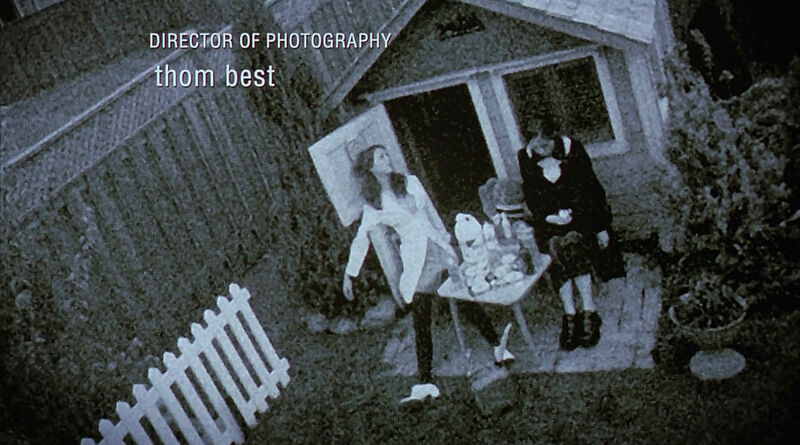 These staged scenes are the girls’ ode to and rejection of suburbia, the sequence becoming a mini-text within the film that lays bare their whirling inner lives; their feelings of connection, nihilism, creativity, curiosity, and disillusionment are all there, laid out neatly among the peroxide and lace. The attention to detail in the grisly gestalts is astounding, with references to everything from children’s fairy tales (The Wizard of Oz, Alice in Wonderland) and classic literature (Paradise Lost) to obscure dead Russians (Pavel T. Shvetsov) and contemporary cinema (Se7en, Heathers). The music, composed by Mike Shields, features violin and cello and smatterings of giggles, deftly wielding a melancholy that manages to avoid dipping into cornball. When the snaps of Ginger and Brigitte come to an end, a sense of sadness and nostalgia emerges, as if the show, and their innocence, has already come and gone. A discussion with Director JOHN FAWCETT and Screenwriter KAREN WALTON. Before we dive into Ginger Snaps, I wanted to ask a little bit about you both because you’ve worked on a lot of projects between you, especially in TV. Karen, how did you become a screenwriter? Karen: I entered a contest because I needed some money! [laughs] Maybe that’s not the most responsible answer, but it’s true. I didn’t train in film, I trained in drama and theatre. I became a screenwriter after not being sure what I wanted to do and having lots of jobs. My last day job was being an executive director of a non-profit film co-op, where I got to learn all about making indie movies and raising money so that people could do that. That’s where I decided I’d like to be part of it. I tried directing, and it wasn’t as fun as making the stuff up. So I chose writing. You had a lot of peculiar jobs, right, before you found screenwriting? Karen: I did. [laughs] How did you know that? Karen: [laughs] Yes. You know that sample lady that stands in grocery stores and offers you a free piece of cheese? I was that lady. It was a surprisingly well-paid gig. I had my own battery-operated revolving sign! I was very pleased with it. So yeah, I was a sample lady. I did singing telegrams. I actually worked at a retail card giant as a clerk. For a long time I did that. I sold greeting cards. So not suited for that. Little did they know that you had something like Ginger Snaps up your sleeve. What kind of stunts did you do? Karen: Oh, I got run over by marauding, stampeding extras. I did stunt doubling and falling down, getting thrown through tables, that kind of thing. I immediately liked it. I really did. I might have pursued that had things not started happening in the writing realm. Amazing. John, what was your background? How did you start out on the path to becoming a filmmaker? John: I started shooting stuff on Super 8 when I was in grade eight, grade nine. Then I managed to get ahold of a VHS camcorder and over three years of high school, I shot a feature-length VHS movie. It was like a fantasy-adventure thing. I think it was inspired by The Goonies [laughs], so if you were to watch it now, you'd probably want to get quite high beforehand. I came right out of high school knowing I wanted to direct film. I went to school in Calgary at the Southern Alberta Institute of Technology, which was a technical school. There, I made a short film, a horror-comedy that got me into the Canadian Film Centre in Toronto, so I moved to Toronto in like '91. The short film that I made at the Film Centre was kind of horror-themed. It was called Half Nelson, about a kid who thinks his father is a vampire and that he is genetically disposed to be the same. Again, strong horror themes but with very dark humour. It got seen by a lot of people at film festivals and it put me in a position where people started to take me seriously. Karen: John and I met in Alberta. He had just come back from the Canadian Film Centre and we met through other filmmakers and exchanged our work. I was working on the first screenplay I had ever written and it was not tremendously excellent, I have to tell you. I was learning screenwriting out of a book at the time. We agreed that we would try and find an idea that was right and maybe do something together. It wasn’t that much longer that he mentioned wanting to do a teen girl werewolf movie. What made you want to make a teen girl werewolf movie? John: Well, I wanted to make a body horror kind of transformation movie. That's how it started. I liked the idea of making a transformation horror film, but with two central characters that I hadn't seen before, or hadn't seen in a movie like this. I liked the idea of these two inseparable sisters that had a bond that surpassed any kind of normal sister bond. At the time, I had seen Heavenly Creatures and I was quite inspired by the relationship of the two girls in Heavenly Creatures. That very close I-love-you-best-friends-forever kind of unshakeable bond. They were the kind of girls that when I was in high school I always had a crush on but they were too cool for me, you know? So Ginger and Brigitte came from that. Initially I shied away from werewolves, because at the time there was really – the werewolf genre was just a wasteland of terrible cheesy movies other than An American Werewolf in London. That was initially why I didn't want it to be a werewolf movie. But the more I thought about it, the more I realized that that was in fact the reason to do it – because there was nothing good in that subgenre of horror. So it was really about trying to reinvent. I wanted to make something that people hadn't seen before. Karen: For me, I was writing independent festival house cinema influenced by Truffaut at the time. [laughs] So, I wasn’t really sure what I could contribute. I said, I don’t know anything about werewolves or things like that. He was like, “This is why you should write one. You should write a teen girl werewolf movie you would go and see.” So it took some time to convince me but eventually I thought, well I would give it a try. That’s how it got started. John, what was it about Karen that made you think, “This is the person to write that story”? Karen, you mentioned learning screenwriting from a book. Do you remember what book that was? Karen: Yes. It was by J. Michael Straczynski, I think. Oh, really? The creator of Babylon 5. [Walton reads from the book description] “Writing and selling screenplays, teleplays, theatrical plays and animation scripts.” They’re all in there. 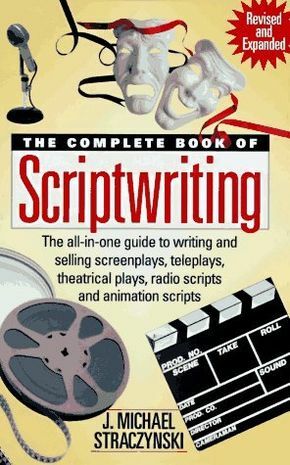 That’s what I used to write my first screenplay and John read that screenplay and then we decided to work together. Meanwhile, I got accepted into the Canadian Film Centre so Ginger was the script I was working on while a student there and in the same class were Vincenzo Natali and Graeme Manson. Vincenzo did Cube and Splice, directed Hannibal, and Graeme Manson of course is the co-creator of Orphan Black, so we’re all of a group that came up together. 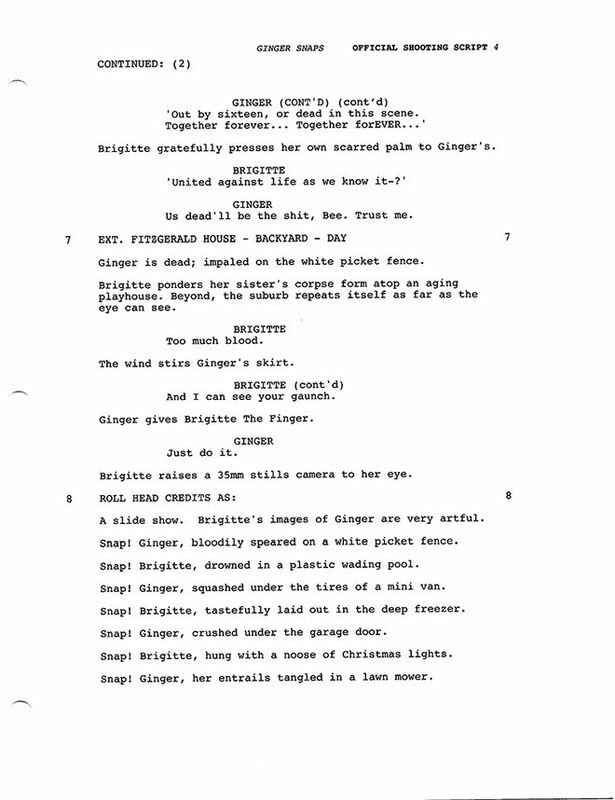 When you initially envisioned the opening of Ginger Snaps, what did you picture? Karen: What you’re seeing on the screen is exactly the screenplay. It’s exactly what I envisioned. John: The sequence was imagined quite early on. Karen and I both knew we wanted to create a really cool opening credit sequence. Karen: John was at the time very fond of using Polaroids and slideshow-style art and montages. When I met him he had a Polaroid camera with him a lot. John: We loved the idea of creating a slideshow, which was essentially going to emerge into the girls’ class project, at school. That's what we were going to reveal at the end of it, that they'd shot all these pictures, and were using it as their social studies class project, which I thought was really funny. Karen: A commentary for class on life in Bailey Downs, the suburbs. It was the way to introduce a relationship that was based in self-destruction with a very serious commitment to nihilism! [laughs] The malcontented suburbanites. Right, and their project is a very creative sort of approach to destruction, and self-destruction. Karen: Self-destruction particularly. With few exceptions, they’re all suicides, and they’re all done in classic suburban settings, deliberately using all of the paraphernalia of suburban life. The lawnmowers and the deep freezer that mom has in the basement for the extra beef. It was intended to give you a sense of disruption in those environments – where we all grew up. It was about taking that picture postcard suburban environment and messing it up completely. The lawns are cut, the house is set up, everything’s lovely. We wanted to undermine that right away. I think I was at home writing something else — probably writing a movie of the week — when I got the giggling call from the suicide set. How would you describe the differences in Brigitte’s deaths versus Ginger’s deaths? Because there are differences in their suicides, right? Karen: Yeah, oh yeah. They’re all down to character attributes, all down to traits that I knew each character would begin their story with. John: Ginger's pictures are very over-the-top and hilarious, and Brigitte's are more poetic and dark. Karen: Brigitte, of course, is Ginger’s devotee and best friend, right? It’s an unquestioned alliance. So I took the creative stance that this project was definitely Ginger’s idea. And it’s Brigitte’s resourcefulness and role as a willing supporter, a willing codependent, that would’ve made sure she had everything she needed to do it. So it’s definitely a Ginger vision, Brigitte execution kind of situation. Right, Ginger is the art director. What was it like shooting those scenes, setting up the vignettes? John: It was hilarious! We did the opening sequence as a pre-shoot. That was the first stuff that we shot on Ginger Snaps. We hadn't even started rolling the cameras yet. So we went out to the suburbs to our house where we were gonna set our exterior scenes and we spent a day shooting all these hilarious pictures of the girls. We had a small group of people, all our make up people, and we were establishing the looks of our two characters before we'd even rolled film yet. There was a lot of prep that went into it, but it was such a gas. Karen: I remember very clearly getting called from that set. I think I was at home writing something else – probably writing a movie of the week – when I got the giggling call from the suicide set. [laughs] John was laughing when they were shooting those images. John: Definitely, because it was so fun. It was the most fun, because we were just doing all these crazy over-the-top suicide photos and trying to shoot as many as we possibly could in the afternoon that we had. You know it's not meant to be real, it's meant to be their fake pictures, so we had a lot of fun with that. Do you have a favourite vignette from the opening? One that you think turned out really well? John: Oh, I like so many of them! That's really hard to say. God. The ones that really – that I really clearly recall, are the lawnmower on top of Ginger, the pennies on Brigitte's eyes, the tea party – the poisoned tea party! Karen: I just watched them again and I just get this lump in my throat going, oh my God, because it’s the perfect... Everyone did such a great job on this. I really like what isn’t in the script: those little suicide notes that they have. One of them says “no comment” and another’s a quote from Paradise Lost. Those were not in the script. We didn’t have notes in the script. That Paradise Lost reference is probably my favourite. John: The Paradise Lost note might have been our nod toward Se7en, our behind-the-scenes nod, because that quote was used in Se7en as well. 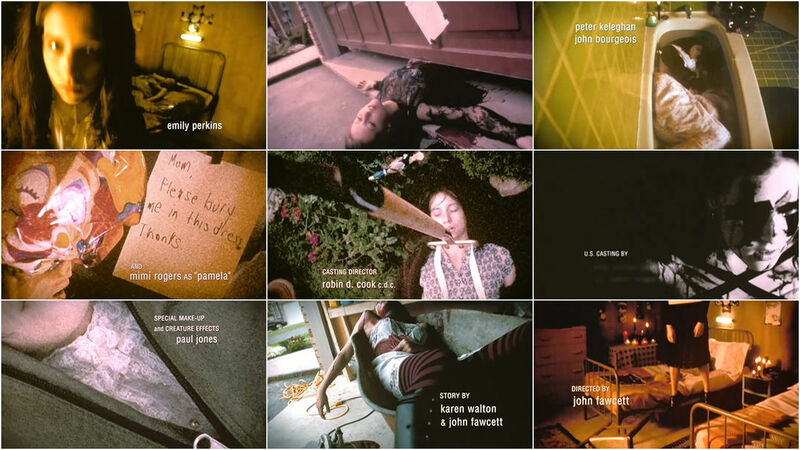 Image Set: Suicide notes featured in the title sequence. "Long is the way that out of hell leads up to light" (right) is a reference to Paradise Lost. 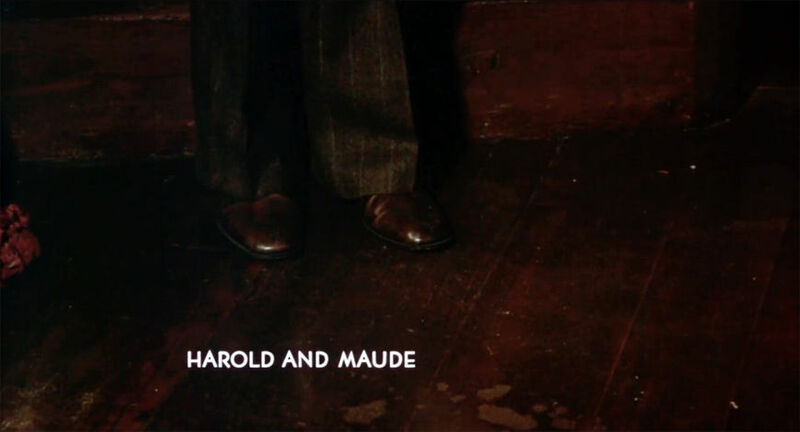 Karen: Oh my god, I love Harold and Maude! Well, that makes total sense! John: [laughs] That's funny! You know what, Harold and Maude was not on my radar at all until I met Karen. Yeah? [laughs] They might be the only two movies that begin with false suicide attempts. John: Karen definitely brought that in, she talked about it endlessly. She was the one that made me watch that movie. Karen: That’s a really strong reference. In fact, I was just on a trip in San Francisco trying to get to Lands End so I could – you know – the cliff? And every time I get to visit there, it’s like a holy pilgrimage, so it makes total sense that there’s a Harold and Maude echo in there. That’s pure influence. 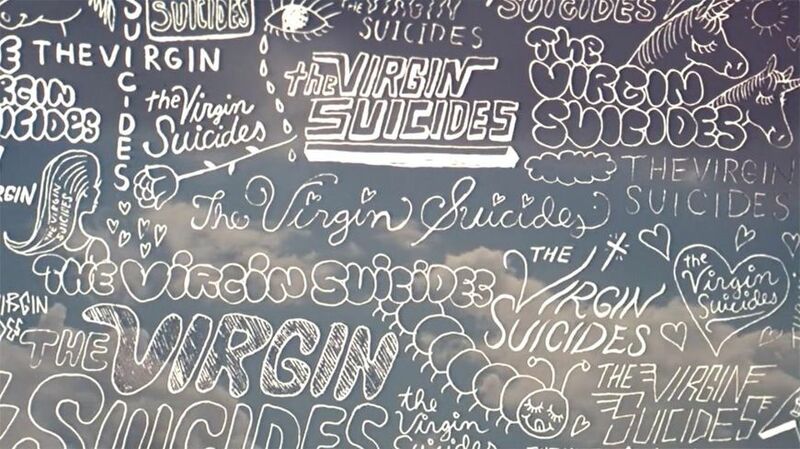 Karen: It’s so funny though because I thought you were going to say The Virgin Suicides. Karen: The original novel had come out while I was writing Ginger. And, if I remember correctly, the book is told from the point of view of the boys in the neighbourhood who were very curious about these strange sisters. It was either the accumulative effect of reading this book and them – I don’t wanna spoil the book for anybody, or the movie – but them finding the bodies, the ultimate fates of these girls, right? I remember being really struck by how affecting it was to these young men in the book. To see women self-destruct in front of them was a total trip. I remember when I put the book down, thinking, “That’s magic.” I definitely want to evoke that kind of thing. I mean, I know Heathers is laced with that “I wanna hang myself” and whatever, and then, you know, the hope that there’s no poison in the cup, and then there’s poison in the cup kind of stuff. There’s that line from Heathers, you know, "gently with a chainsaw…." Karen: [laughs] It’s all kind of brutal, right? 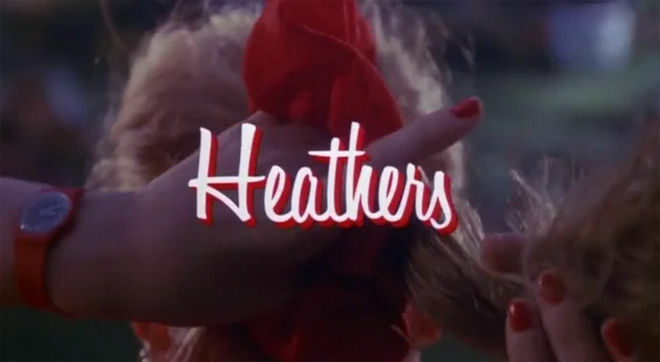 Heathers was a big influence back in the day. The big contemporary influences on Ginger Snaps overall were Heavenly Creatures meets Cronenberg's The Fly. Those were touchpoint films for what kind of movie we wanted to make. John: In terms of inspiration, I know that one of the title sequences that I had seen at that time – and this was the late '90s, we shot the movie in 1999 – that I had really loved was the opening of Se7en. Do you remember that movie? That opening sequence is a benchmark in title design, actually. John: Wow, right. At the time, I'd never seen anything like that before. Not in a feature film. And it was very – that was quite inspirational. I know that also at the time, the movies that really had a profound influence were Heavenly Creatures, Carrie, Heathers, Cronenberg – both The Fly and Dead Ringers – and An American Werewolf in London for some of the transformation stuff. American Werewolf in London was at the time the only good werewolf movie that I could reference, and it had a really great sense of humour. From a title point of view, I was very inspired by the opening sequence of Dead Ringers. I thought it was very beautiful and very elegant and it had this beautiful score under these weird medical drawings of, you know, his gynaecological instruments that he's built for working on mutant women. Those graphics – fading in and out of each other and zooming into each other – that inspired the feel of Ginger’s opening credits. When I was talking to my composer, I was definitely saying, “Listen to this score that Howard Shore wrote for Dead Ringers.” Not that we were trying to rip off Howard Shore, but the sound of it, the feel of it, the dark beauty of it, was certainly something that I wanted to find in the score over our opening credits. 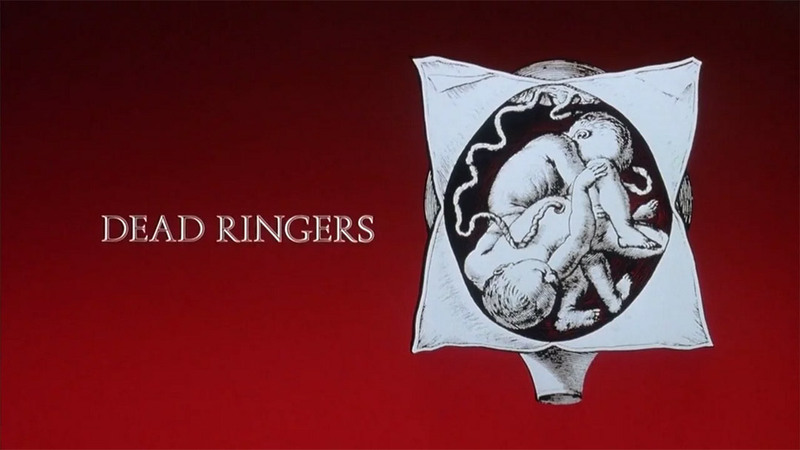 Dead Ringers (1988) opening title sequence, designed by Balsmeyer & Everett, Inc. So, what's coming up for you? What are you working on now? John: Well, Orphan Black has been taking up a lot of my time. That's where most of my energy has gone lately. I want to make another feature film. Orphan Black, at some point, is going to end. I don't know when, because it's very popular right now. I'm really enjoying making television and I really do want to create a new series but in between the two, whenever Orphan Black ends, I'd love to make another movie. Karen: I just finished my [writing] stint at Orphan Black at the end of season two, so for the last year, I took time off to develop my own shows, and take on a movie, and do my own stuff. I've created and put two new series in network development, and I'm writing a movie and possibly a third series. We're writing the scripts right now, and other than that, I do a lot of consulting because I really love jamming with other artists on their projects, which is a blast because you get to see all kinds of crazy stuff going on. What have you watched lately that's been exciting to you? Karen: I watch an obscene amount of material every night because I don't sleep otherwise, and I'm just curious. I've started listening to Black Tapes Podcast. It's really cool. You can get it on iTunes, and it's done by colleagues in Vancouver that I do not know, but I intensely admire. It's interfering with my productivity at the moment. John: Probably my favourite feature film of this year is Ex Machina. I love that movie. I saw that movie and I wished I’d made it. I just loved all the characters – Oscar Isaac was amazing – and it was so well written. Even if the titles come later in the unfolding events, it’s part of it. It’s not separate information. Karen: I just finished the latest season of Hannibal. I watch all the European stuff, like anything out of Denmark makes me crazy jealous because I think they're brilliant. They do brilliant TV shows, and Sweden as well. The Danish/Swedish production of the original The Bridge is wicked good. I just love it. I just love it! And from France, Les Revenants, the original The Returned is great. You name it. I watch everything from Turkish soap operas to whatever U.S. Syfy has on. When you watch a movie or a show, do you notice their title sequences? Karen: Yes. I think about it a lot, and it probably helps that, you know, back in the day, I used to know a title artist, Johanna Weinstein, so she really got me educated about the way things are presented, that information. The uneducated eye just sees the title sequence as that information you have to get through to get on with the story – but it’s part of the story. Certainly in the Canadian film tradition, the titles are exquisite. So many of them are so thoughtfully incorporated, in the same spirit that Ginger's were, as part of the story, not a separate step out of it. Usually I've decided consciously where I feel that part of the sit-down-and-get-ready process belongs in the first few minutes of the story – if it's off the top, if it's buried three minutes – and it becomes part of the unfolding world. I think about titles a lot when I'm writing. John: When I think back to television, some of the credit sequences that I loved were really breaking the mold, like the sequence for Six Feet Under. When did Six Feet Under start? Early 2000s, right? Karen: I once had a class with Dezsö Magyar, who I think is back at the American Film Institute, but when I went he was the guy in charge of the Canadian Film Centre's creative education. He did a wonderful session on the opening credits of Chinatown, and took us frame-by-frame – what all of the elements in the credits were doing to prepare you for the kind of film you were about to see, and how vital it was to make the most of it. That completely fixed in my mind the idea that the credits are part of the story. That's an opportunity while the audience settles, if they're right off the top. Even if the titles come later in the unfolding events, it's part of it. It's not separate information. It's another opportunity to do something unique with the information, and to this day, I still write in my title sequences. What do you think are some of your favourites? John: The two that I used in reference to Ginger Snaps, Se7en and Dead Ringers, those ones definitely spring to mind. Any of the early HBO stuff. The Sopranos opening sequence was super cool. You know, they were using that piece of music over the driving shot. Six Feet Under was doing so much stuff that I love. It's no wonder HBO has grown to be so massive, because they just work on this extremely high level of creativity and art. You never know what they're gonna come up with. Name any HBO show, they all have really cool credits! Karen: I love titles that short-hand our introductions to characters. Trainspotting and The Big Chill come to mind as personal favourites. 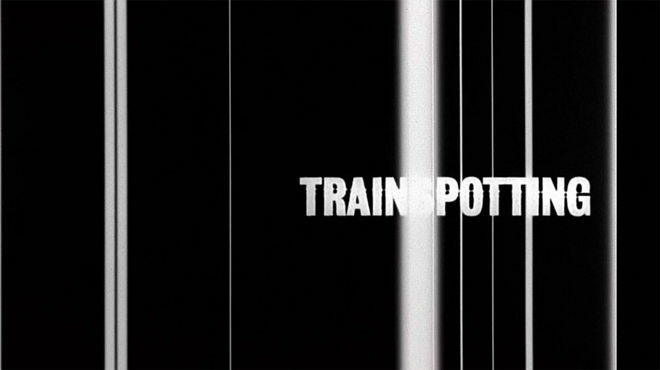 I remember seeing Trainspotting back then, and it blew my mind. I was so excited. Cinema was finally turning a corner in terms of – it doesn't all have to be, you know, feel-good-at-the-end stuff. I’ve probably seen both of those sequences way too much. I use them to remind myself how brilliantly a character in action can summarize their starting points, values and relationships – right off the top. Karen: All of these have in common the masterful choice of a title track, music-wise. A strong musical hook always sticks with me after. Music, in all of these, resonates with me. Possibly because they all use tracks I grew up with and I have instant associations. John: One of my favourite films of all-time that would probably still rest in my top ten is The Thing by John Carpenter. I can't ever get enough of that movie, honestly. I think it's absolutely frickin' brilliant. It's the kind of movie that I’ll pull out very often and watch. I like movies that break the mold, the ones that you go, after you see it, "Oh, this is a benchmark. This changes everything." Karen: I also love all of Fincher’s, for thrusting us visually, graphically into the disturbing and consuming crazy featured in those works. He is the king of noir right now. His title sequence for The Girl With The Dragon Tattoo – ridiculous! What a great concept! Every time I watch that, I just get chills. Those are titles I watch for no reason sometimes, they just inspire me. Maybe it’s because I’m such a shameless Led Zeppelin fan, too. But I would just die to work with David Fincher. I would just die. I think he's a genius. Karen: He is? I did not know that. With Gone Girl, that was written by Gillian Flynn. That’s the first of his films to have a screenplay written by a woman. They’re working on another one together. Karen: Wow. Yeah, I'm not on top of my day-to-day news. I did not know that. Well, I think Fincher is a genius. David Lynch, there's another one. He was a major influence on all of us at that age, when we were developing Cube, and Ginger Snaps. We were all home watching David Lynch, Twin Peaks, just freaking out, going, wow! Nothing like this has been on TV before. Let's do something this weird, you know? And gosh, all of the women directors who are finally coming into their own, their work is sitting on my coffee table in front of me right now. I can't wait for what’s next. Digital Visual Effects & Opticals: Film Effects, Inc.